I’d like to say a great big “Thank You” to all of you who have served or are serving in the military and to the families – wives, children, parents – that stayed behind on their knees praying for their safe return. You are appreciated more than you’ll ever know. While some vets have experienced years, and many a lifetime, of sorrow from the memories of the horrors of war, the rest of us have simply enjoyed the fruits of their sacrifice. There is no easy way and really no adequate way to express gratitude for what they have done. Most didn’t know the back story of why they went to war. They felt the compulsion to defend and protect and follow orders. I wrote, a little while back, about encountering an old gentleman in a restaurant. He wore a cap signifying his service on a Navy war ship. Humility is fading as fast as entitlement is advancing. What has been called “the greatest generation” is fading, too. 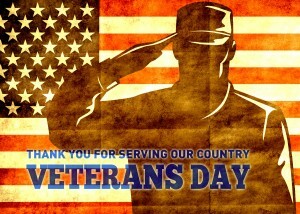 So if you happen to encounter anyone who has served or is serving today, say “thank you.” You don’t have to elaborate. They might not want to talk or respond but I don’t know anyone that doesn’t appreciate being appreciated. How did we get so arrogant? I watch the news and wonder, sometimes, “How did we get so arrogant?” There is no end to familiar faces from pop culture, TV personalities, actors, musicians who never miss a chance to speak their opinion in front of a camera. But they’re not the only ones. For the most part, the world has gotten to be a know-it-all culture because there are really no unanswered questions. Today, I got online and asked the question “When is a good time to trim a palm tree?” And I got pages and pages of answers. Most times, when we’re sitting around with family or other friends, the conversations bounce around and, usually, someone asks a question that we all ponder. Then, in a matter of seconds like contestants on a game show, somebody pulls out their phone and gets the answer. We usually assume the answer online is true. Hmm. So, over the course of my life, I’ve asked questions of God. I’ve been through seasons where I didn’t dare ask out loud but knowing my heart as He does, it doesn’t really matter, does it? And I don’t think our questions are an affront to the One that made us. Now, in the course of conversational prayer that can run through the course of any given day, I’m not afraid to ask questions. Unlike the www., God isn’t always inclined to cough up the answer right away. My little boy is sick right now with awful congestion and ear infections. Of course we pray for him but realize, in light of some of the other health issues others in our family are facing, it doesn’t seem so bad. Still, I wish he didn’t have to go through this. Ellie, my 8-month-old granddaughter, is, at the very moment I write this, at the hospital with my son Adam and wife, Laura. An MRI was done late yesterday and they’re waiting on results and to discuss a plan of action. A mass was found in her abdomen last week during an ultrasound. If, as a dad, my children were suffering and I could do something about it, would I? You know the answer to that because you’d do the same thing and wouldn’t think twice. So even though I’ve been a Christian since I was 9 years old, there are still times I’m confused about the whole prayer thing. God is able to do something for my son and for Ellie and for your child. He can. The comfort I find in this is that He is God and I am not. I can’t see the picture He sees and I don’t know what He’s up to. It’s not on the internet and I can’t google it. I can find a good French toast recipe but I can’t get an answer to the question I want answered most. I can’t see. I can’t hear. I don’t know. I was in the beautiful state of Pennsylvania a couple of weeks ago. Some of you have already read about the travel drama from a previous post so I won’t go through that again. As we were tooling around Lancaster, PA, I noticed signs to Lititz, PA. Just seeing the name of the neighboring town brought back a great memory. I don’t know the year but I do know it was one of those years we were touring “The Young Messiah.” I know a lot of you saw those tours and if you did, I’d love for you to share some of your memories of those days. “The Young Messiah” would usually kick off Thanksgiving weekend. Many years, I would have Thanksgiving dinner and then leave for the first stop of the tour. 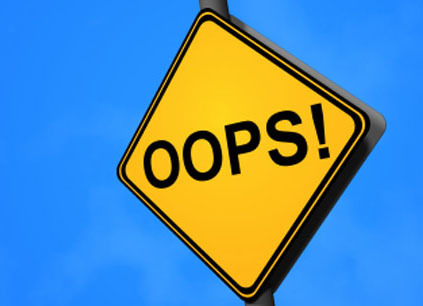 We would rehearse on Friday and then the first performance would usually be on Saturday night. Most of the tours lasted until the middle of December. There were a few days off here and there but we played almost every night. The memories are vivid. I could go on and on about those tours . . . hmm . . . maybe one day I will. On one particular tour, we had a particular night off and someone from Lititz, PA contacted my office about coming to their town to sing. It was a busy season, so I was reluctant and just wanted some down time. Then I heard the story. It seems that someone (named Scrooge?) had driven through Lititz and noticed a manger scene in a public park. You can probably guess what happened next. Apparently, the ACLU got involved and because of this complaint (from someone who wasn’t even a resident of Lititz) the manger scene was removed. I’m not sure how many Christmases went by without the manger scene in the park. But the residents began to stir and ask questions. People from churches, people that weren’t “church people”, children, and elected officials hearing the voices of their constituents began to wonder why this was allowed to happen. And so, after some time and, I’m sure some wrangling with “the powers” the people of Lititz were victorious and made plans to reinstate their manger scene to its proper place. They invited me to come and sing at the dedication service. It was December in Pennsylvania and, therefore, . . . cold! We set up on a platform in the middle of town and people filled the space all around us. You could smell the smell of chocolate. Yes, the town of Lititz smells like chocolate! I grew up around towns that smelled of paper mills (not chocolate) and I’ve driven by feed lots in Colorado with the smell of . . . well, definitely NOT chocolate! But I’d never been to a place that had the fragrance of the precious bean in the air. Among other confectioners, the Wilbur Chocolate Company has been generously spilling its delicious fumes into the atmosphere since 1894. Before I left, someone handed me a huge bag of Wilbur Buds – little discs of chocolate candy like I’d never tasted before (or since . . . does anybody know where I could get me some???). On a lighter note, it’s said that pretzels were started in Lititz and that the twisted shape of the pretzel is often associated with a child’s arms folded in prayer. OK. So with the fragrance of coco in the air, we proceeded to dedicate the manger back to its rightful place in the park. The crowd was reverent and quiet, their breath in the cold winter air creating a beautiful haze. Men and women of different faiths and practices, some of no faith (yet) all united as a community to make their voices and hearts known. I played some carols and we all sang. And then, the crowd dispersed. Back to their homes and lives but richer now. Some probably didn’t even know why, but richer still. I think Christmas in Lititz was different that year. I know it was for me. I don’t know if you’ve had a chance to see the movie “” but we saw it over the weekend. I’m a sucker for sports movies and have a high tolerance for any degree of cheese factor and most of them never fail to provide the cheese! I won’t specify for fear of calling out one of your favorites or exposing mine! 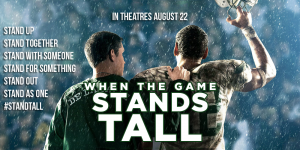 “When The Game Stands Tall” starring Jim Caviezel came on the screen and within a few minutes I could tell this movie was going to be a cut above. Never mind tagging it as a “Christian” movie. While the story line and the script repeatedly follow a faith-based ideal, it’s done in a believable way. In one scene, a member of the football team is with his girlfriend at a diner and when asked by one of the other players if they were . . . well . . . you know, his response was “No, we’re waiting. We took a purity pledge.” To which the other guy asked “Man, what cult are you in?” “Pleasant Hill Baptist Church!” he replied smiling. It’s realistic and beautifully filmed and edited. The dialogue, while refreshingly void of the rampant obscenities that we’re led to believe are the norm in the teenage vocabulary, is really well written. There are believable lines delivered with believable teenage frustration, angst and intensity without the barrage of vocab-bombs. Maybe a lot of teenagers express themselves with the lowest of language denominators but I don’t want to pay $11 to hear it. Don’t want to hear it from adults either, for that matter. I won’t go on and on. I’m not a movie critic but I’d encourage you to see it. When the ratings description on one movie website warns “smoking scenes” as one of the things to beware of, well, all things considered, that’s pretty mild. And, by the way, it only takes a matter of minutes for the filmmaker to show the consequences of the tobacco habit. I can’t say whether you should take your kids or not. I don’t know you or your kids, but this movie has some terrific moments and some vivid life lessons that are well told. When someone of Robin Williams’ stature dies, it’s fascinating to observe the outpouring of sentiment from all kinds of people – from the rich and famous, the friends and co-stars, those in the media that interviewed and spent time with him, nameless ordinary people that experienced his kindness and generosity. No doubt there will be some that will site his lack of reverence and his crude stabs at some sacred social and religious structures and, frankly, I just wish they’d give it a rest. And yet underneath his almost manic delivery of, what some would call, comedic genius (Charlie Rose of CBS said he’d never been with anyone with such a quick connection from brain to mouth), there was, to the discerning eye, the very clear display of sadness and loneliness of addiction and depression. I’m not going to pontificate or editorialize. When I heard the news, my heart ached. What a cruel world sometimes. I’ve dealt with suicide in my family and it’s just . . . there are no words to the shock, the suddenness and finality. My heart hurt that a human created in the Image was so very sad. Whenever I witness genius, my first thought is to thank God for His creation, His imagination and the very fact that He gives gifts to human beings. I hear incredible musicians, singers, players, great writing, great acting, brilliant comedy and whether they acknowledge the Giver of their particular gift or not, I know where all this comes from and I thank Him. Sure, as a dyed in the wool evangelical, it would be great (and I would be so inappropriately proud) if they would, from time to time, mention that God has blessed them with a gift, etc., etc. But again, even if they don’t publically or privately name the Name, we can breathe deep in the knowledge that God has created some beautiful things and some beautiful people. I was at my home church yesterday. It was, sort of, an ordinary Sunday and things came off, pretty much, as usual and as planned. I’m pretty sure some things happened that were not in the bulletin, but we can’t always see those. My wife taught our Sunday School class on the chapter in Genesis where Jacob wrestled with the angel of the Lord. She told me, the night before, that she’d heard and read lots of opinions as to whether the angel of the Lord in the wrestling match was actually an angel or really God Himself. Some of these “discussions” can go on forever and, honestly, the older I get, the less time I want to spend discussing or batting around issues that cannot and probably will not be settled while we’re on the planet. Most times, people are comfortably settled into their positions and are rarely convinced to change. As a side note, even when talking to somebody that doesn’t buy the whole Jesus story, my (our) part in the experience is to simply tell the story, testify as to what Jesus means to us and – and this is the important part – let God, by His spirit, do what He’s going to do. To someone with their heels dug in, the only one that is going to change them is Him. I’ve noticed that fewer and fewer people carry Bibles at our church. Trying to maintain some restraint over my formerly hyper spiritual and judgmental self, I make an effort not to read too much into this. And then it hit me that I read from the scripture from my iPad a lot! I travel with it. It has all my stuff on it. I have a large library of all kinds of books on several different apps and then there’s that one big icon that displays my iPad “Bible”. When I’m feeling particularly free of guilt or especially washed up by a whole pile of grace and looking for something to feel bad about, the iPad Bible icon comes through. *Watched the Super Bowl last night. I remember when some people (not mentioning names here . . . ‘cause mine might be in there somewhere) thought it was just downright heresy to blow off Sunday night church to watch Super Bowl – oh, excuse me “Big Game”. I’m not officially licensed by the NFL and I don’t want any of their goons at my door. So, I do remember having Supe . . uh, Big Game parties at church where we would watch it together at the church! I guess the venue made the difference. Those events morphed into Super Bowl (aw . . . forget it. I’m just gonna live on the edge today!) parties in homes where some church members gathered (few, if any, outsiders allowed) to have a very long “blessing” that must have been an adequate substitute for Sunday Night Church. If bringing a smile to the face of God means checking the attendance box on another offering envelope, I’m in good shape. If rubbing shoulders with people, whether they believe what I believe or not, if they behave the way I think they should behave or live like I think they should live or not, then I’ve got some catching up to do. I don’t think He put us here to be isolated and insolated from our neighbors. By the way, why do we expect people that have never been to the Cross to behave as if they have been? It’s hard enough for those of us that have been there to behave. Sure, the game was a blow out and, at one point, I was just hoping Peyton and Company would just do something! Tough night for them. But I like some of the stuff I heard from Russell Wilson, the Seahawk’s quarterback. Good testimony and, what seemed like a mature relationship with God. Bruno Mars at halftime . . . He’s a mix of Prince, James Brown, Little Richard and Michael Jackson all rolled into one. I hope he appreciates the groundwork others did before him. And I hope he keeps it together. At least there was no wardrobe malfunction this time. And, other than the Chili Peppers being shirtless (dang, that must have been cold!!!) nothing too weird or funky. Can you imagine the money that changed hands last night? Wonder what a hot dog cost at Met Life Stadium? Went to Sunday School yesterday and the teacher talked about $$$ and how it’s such a fight on all fronts. We’re studying Genesis and we’re in the 31st chapter – deceit and greed and all sorts of bad stuff. We talked about the cycle of wealth and how it can have a hold on us. The Book says “You can’t serve two masters” and it’s a constant battle. I can justify it lots of ways. “I just want to prepare for the future” or “I need to take care of my family” or “I want to leave something when I’m gone” etc. etc. I don’t know much but I know this. The battle with the cash idol can’t be won by passively wishing and hoping and praying that one day, we’ll overcome. It has to be an aggressive effort to push back and make firm decisions that will kick in and help build a solid wall and foundation. I have a pastor friend who is retiring soon. 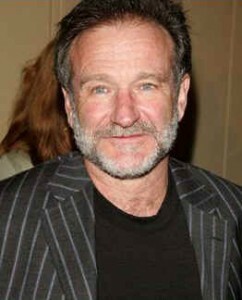 I had lunch with him a couple of weeks ago and asked him “What made you decide that this is the time”. He said, “I want to be less of a big deal” and sighting the words of Ron Burgundy, he is one that could genuinely say “I’m kind of a big deal”. He is . . . to a lot of people. He told me the scripture that keeps running through his head is “ . . . He must increase and I must decrease”. I don’t hear that or see that kind of heart very often. And I love him for it. Writing songs this week. Hope to record something new soon. I appreciate your prayers in this. No one needs another CD or download just because. I don’t know why, but it’s tougher and tougher to write good lyrics right now. But there’s stuff there and, God willing, it’ll come out soon. I know some of you are facing tough things this week. Right now, some are in hospital waiting rooms, have loved ones in surgery, some just wanting to hear a doctor say something good. Some are in danger of losing a job or going broke. Some have children that are AWOL, away from God and all the things you taught them. Some are in marriages that just seem to be done. So, while you’re out there this week, be on the lookout for somebody in pain that might just need you. I was 9. Probably in the 4th grade. Living in the only world I knew, the almost utopian realm of the small, southern town. It probably wasn’t as perfect as I remember, but it was my world nonetheless. We were sent home from school early. What happened? I had no knowledge of John F. Kennedy other than the fact that he was The President of the United States and, therefore, my President. I’m pretty sure my town, given the political climate, was probably not pro-Kennedy but what did I know about political climate from the 4th grade? Or care. But that didn’t seem to matter on the 22nd of November, 1963. All the adults were very upset about a lot of things. First, the obvious and then the rumors (that I heard about later) of conspiracy and all sorts of sordid business. What was going on?! We watched Walter Cronkite of the CBS news choke up as he delivered the word that “at 2:38 PM, President Kennedy died”. Who knew the fallout or the timeline that would reveal the details and the ongoing banter over who was really to blame, who really did it, etc. And now we mark it in decades. Where has the time gone? Since then, you and I have experienced more grown-up sadness and loss. We’ve gotten older and face the consequences of those losses. The innocence of youth and it’s naïveté’ has past. The depths of helplessness have introduced themselves to us and although we’re never prepared for it, we face it and live. Where were you? May 16, 1997. In the early hours of that morning, I woke up and grabbed my chest feeling like I was being shocked. I’ve never had a heart attack (thank You) but I imagined “This must be what it feels like to have a heart attack”. I went back to sleep only to be awakened by a phone call from my brother. “Dad’s gone”. I had been there for over a week, decided I had to get back home for a few days, then I’d come back to be with Dad. I came back to bury him instead. Where were you? August 14, 2012. Mom had been in the hospital for over a week. Kidneys failed, we had her in hospice care. I went to dinner that night after being at her bedside for days. A good friend came and we took some time to get away. When we were about a mile from the hospital, my brother called and said “You need to get back as fast as you can”. I drove aggressively and my buddy parked the car as I ran from the lobby to the elevator to the floor where my mom was staying. As the elevator door opened, I heard crying. Too late. These are dates for which I have concrete answers to the question “Where were you?”. Today, as a nation, we’ll rewind the tapes and relive some of the memory of November 22, 1963. And hopefully, reflect, learn and apply. But then you have those personal dates. I think it’s ok to visit them. But if I might . . . don’t get stuck with in the rewind. For whatever reason, God has breathed life into us again today.